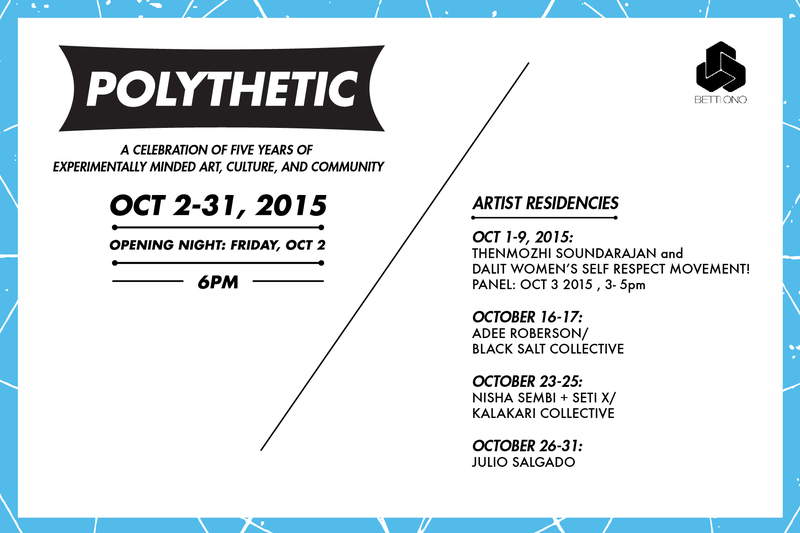 This October, we are excited to present to you POLYTHETIC, a celebration of five years of experimentally minded art, culture and community. Inspired by our namesakes Betty Mabry Davis and Yoko Ono, Betti Ono is a space for bold and curious creative practice, a site for action, experimentation and critical dialogue , and a platform for artists and community to gather, heal, demand attention and challenge the status quo. A POLYTHETIC class or association of things has many but not all properties in common, made up of distinct elements and representations but are closely related. 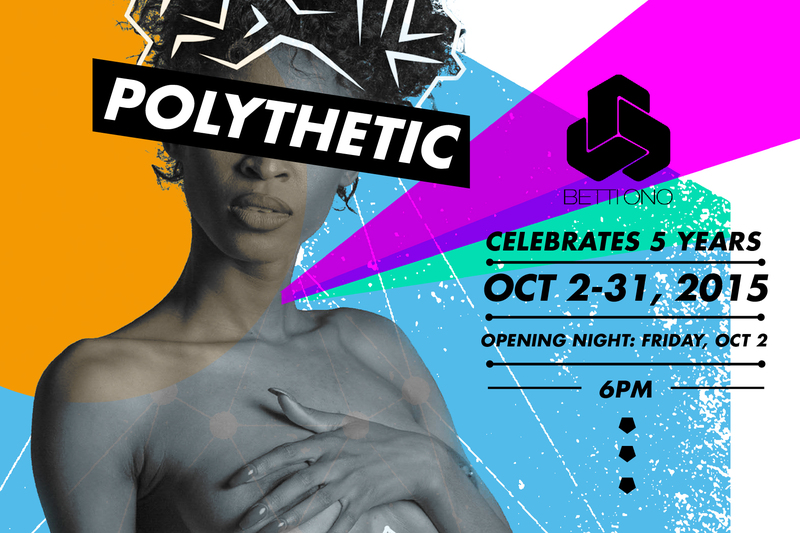 In this way, the art, people and ideas brought together in this month long activation represent various aspects of the Betti Ono aesthetic, vision and intention.